I’ve been planning for some time to turn our garage into a studio space. We rarely park in it and, after recent home renovations which relocated our HVAC, water heater and laundry room, there’s little room to do so even if we wanted to. 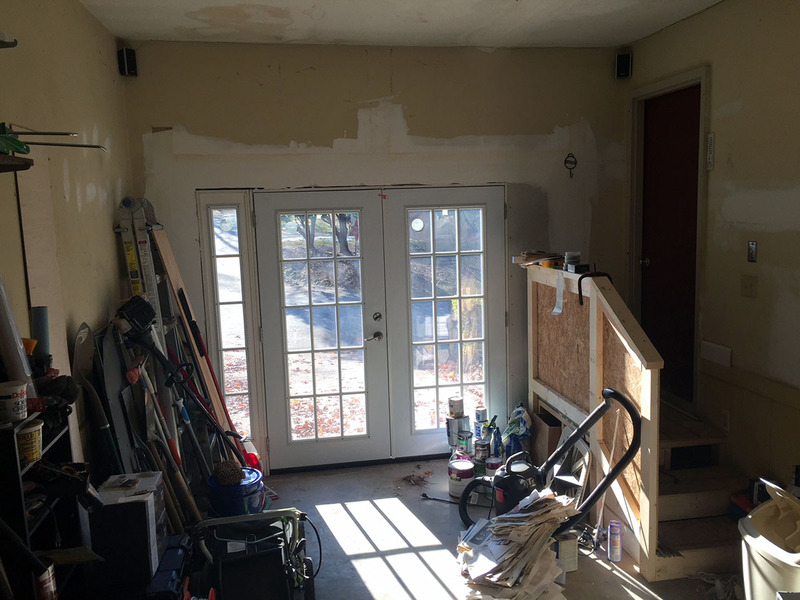 A few weeks ago, we had the garage door removed and replaced with double french doors. 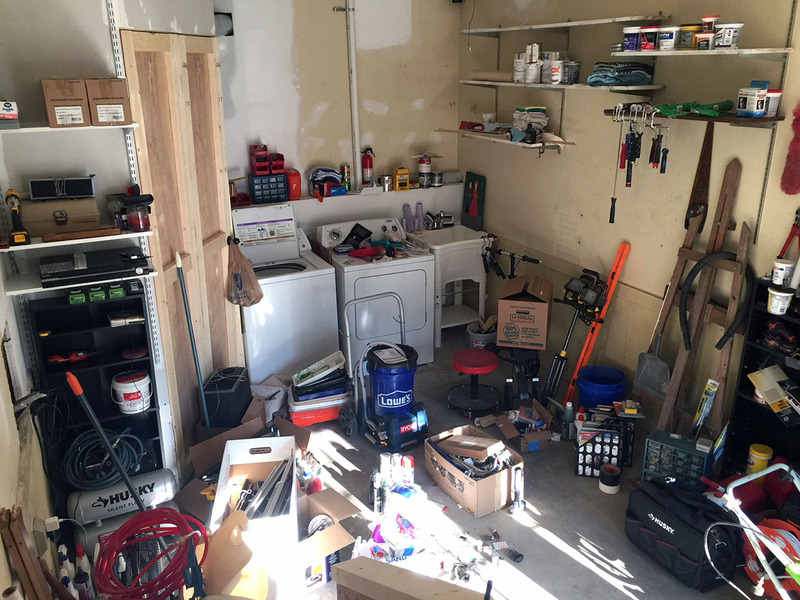 For weeks I’ve been working on the daunting task of clearing out the garage and finding new storage for all the junk that has been stored there for over a year. It’s coming along and, even though it may not seem like it from these photos, the space is getting close to being emptied. This week I should be able to have a completely empty space and I can start patching and painting the walls. Once that is completed, I can bring over all the junk from the studio I’ve had in another location for four years. Organization is going to be the ongoing challenge and how to keep that while still keeping some type of design in the space will be my goal. Pretty sure it can be done. I’m only posting these because I’m hoping to have an amazing “Before and After.” Going out on a limb here.